Students should study hard to make it easier to get into college and achieve other goals. But having a high GPA may also help young drivers get a car insurance discount for good grades and lower their quotes for auto coverage. Are you doing well in school or hoping to motivate your student? Here’s the deal on good student discounts. Insurance companies base rates on factors that relate to the risk and size of drivers’ claims, and young people who do better in school typically get into fewer accidents. A 2001 study published in the journal Accident Analysis & Prevention found that students with a C or D average were 49% more likely to get into an accident within their first year with a driver’s license than those with an A or B average. Avoiding accidents is particularly important for young drivers, because the fatal crash rate per mile driven for 16- to 19-year-olds is nearly three times the rate for older drivers, according to the Insurance Institute for Highway Safety. Insurance companies may also offer discounts hoping that the young people who are good students now will be desirable policyholders in future years. Students can usually document their qualifications with a report card, a form signed by a school administrator or a test result report. They may need to reaffirm their eligibility on their policy anniversary by submitting grades from the previous semester or quarter. Good student discounts depend on the insurance company. They can save up to 25% on car insurance at State Farm or 20% at Allstate. Nationwide, Geico and MetLife all offer up to 15% off. Esurance reduces premiums for good students by up to 10%. Getting good grades can make it much easier for young drivers to find cheap car insurance. It’s a good idea to shop around for car insurance quotes and see which company offers the best break for good students. 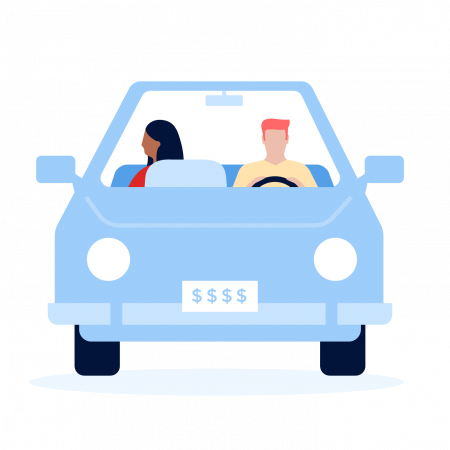 NerdWallet’s car insurance estimator tool can help you find the best quotes.